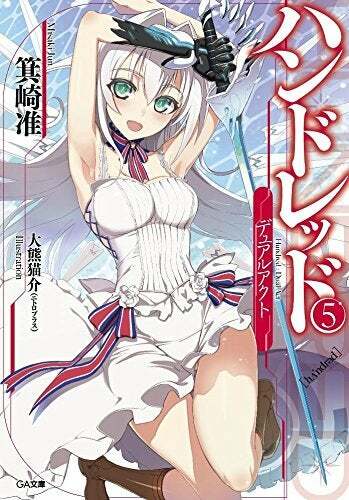 On The Festa Event for the 10th Anniversary of GA Bunko it was announced that the Light Novel Series made by Jun Misaki, Hundred, will get an Anime Adaptation. Hayato feels a strange yet familiar sense of incongruity towards Emil Crossford (picture right), his roommate who somehow knows him from somewhere. On top of that, as soon as he enters the school, he is challenged to a duel by the “Queen” (the school’s most powerful Slayer) Claire Harvey (pictured left). The Series bega in 2012 and on this August the 8 Volume will come out. Also if you found the art to be somewhat familiar of The Testament of Sister New Devil is because the Artist is the same, Nekosuke Okuma.